Running has been proven to rapidly reduce weight, increase your cardiovascular system and even help prevent cancer, but improper form can actually cause more harm than good. While running may seem like a very simple thing to do, there’s actually a lot of science behind proper technique. Form has a tremendous impact on how quickly you reach your health goals, without harming your joints, muscles, tendons and bones. If you’re feeling the effects from National Running Day yesterday, you might want to consider trying these 7 tips to learn how to run properly and help both improve your running performance and reduce injuries. Try landing on the middle of your foot, then roll through to your toes. While sprinters most often run only on the their toes for short distances, that can cause shin injuries in longer runs. Other runners who land on their heels can cause injury from overstriding. Be mindful of where your toes are pointing, which should be straight ahead. Turning toes in or out can lead to injury. Think of your arms as pistons gently pumping or a pendulum swinging from your shoulders. Holding your arms up by your chest can tense up your shoulders and neck. Relax your hands either by gently cupping them or letting them dangle slightly loose. Clenching your hands or making a fist while running can cause fatigue in your arms, neck and shoulders. 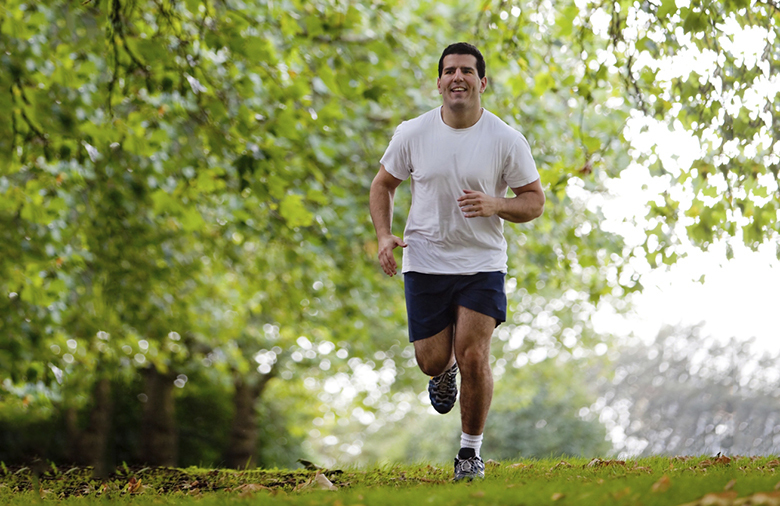 Keep a steady breathing pace to maintain a constant flow of oxygen into your lungs. Trying to breathe in too much or even hold your breath can cause lightheadedness. Make sure you are looking forward, your back is straight and your shoulders are level. Leaning forward, looking down and hunching your shoulders can cause neck and back pain. Stay steady so you don’t bounce. The higher you lift your body then land on the ground causes a greater shock for your joints and tendons to absorb. If you know a runner who might benefit from learning these techniques, consider sharing it with them.